Six men were charged following the Dons match against Hibs – including a 44-year-old caught allegedly urinating in a nearby cemetery. 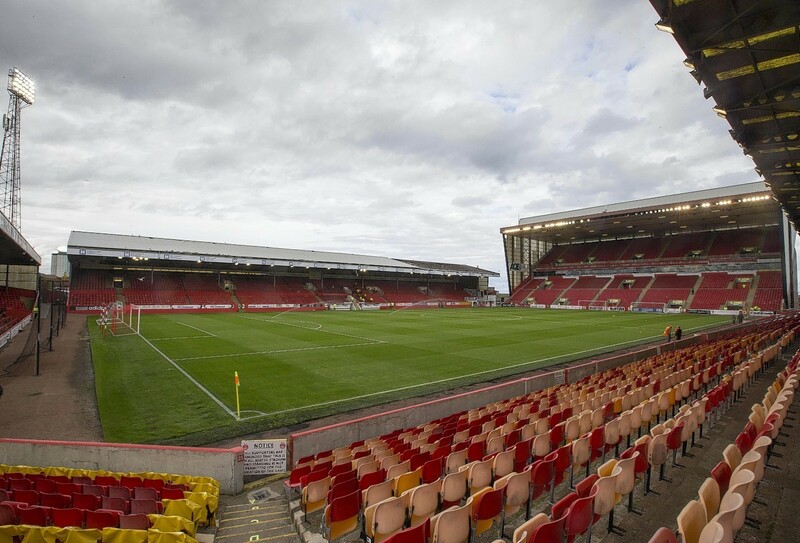 Around 15,000 fans descended on Pittodrie for the game, which ended with a 0-0 draw. Police yesterday praised the majority of fans, but revealed six people had been charged with antisocial behaviour. This includes one 44-year-old from Edinburgh, who was spotted allegedly urinating at Trinity Cemetery. A 29-year-old man from Edinburgh was charged following a disturbance at a bar near the stadium and for allegedly being in possession of a Class A drug. Meanwhile, a 16-year-old boy, also from Edinburgh was charged in connection with the vandalism of a car in the Park Road area. Another teenager, a 19-year-old from Aberdeen, was arrested for having alcohol within the stadium, while another local – a 59-year-old man – was charged with making alleged sectarian and offensive comments during the match. A second 59-year-old was charged with an alleged assault within the stadium grounds. Six people were refused entry for unruly behaviour and alcohol-related issues, and three others were thrown out of the stadium during the game. Match commander Chief Inspector Murray Main said: “I hope the quick, robust action taken by officers and stewards at the weekend serves as a clear reminder to those who choose to behave in an anti-social or otherwise unacceptable manner at football fixtures. Thousands of fans are expected to turn out for the Aberdeen v Rangers match at Pittodrie tonight, and officers are urging them to leave plenty of time as extra security measures will be in place – including a dog unit and mounted police. investigations will also be conducted and offenders will be identified and arrested. Aberdeen Football Club (AFC) assured that anti-social behaviour from fans will be treated strictly. Councillor Dell Henrickson said: “It is disappointing that a small number of fans are alleged to have been involved in anti-social and criminal behaviour.